Thundercats #8 cover (1987). Pencils by me (from layout by John Romita). 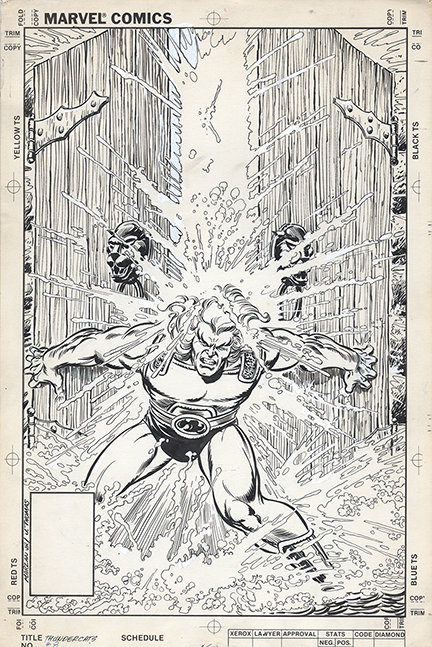 Inks by Tom Palmer. Why did Palmer sign the piece “J. Thomas”? Not really sure. When I met him (maybe after this cover was done), and introduced myself he mentioned something that he thought Marzan was an alias of Romita’s. I guess he got that idea from my working with John, and under his tutelage..? ?